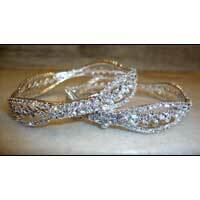 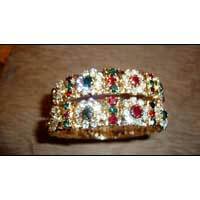 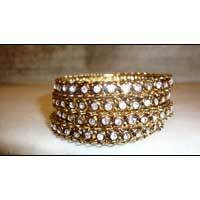 We supply Stone Bangles containing the finest quality stones. 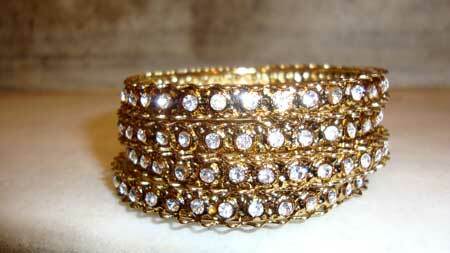 The stones used in our Stone Bangles have an everlasting shine and appeal. 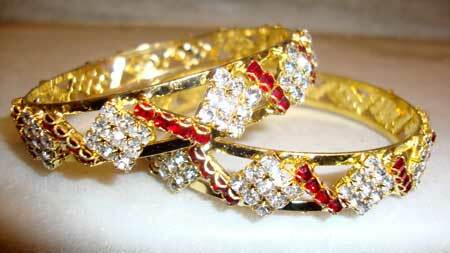 Due care is taken in embedding the stones in the bangle so that they do not fall of easily. 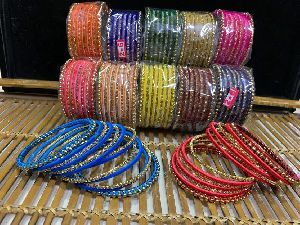 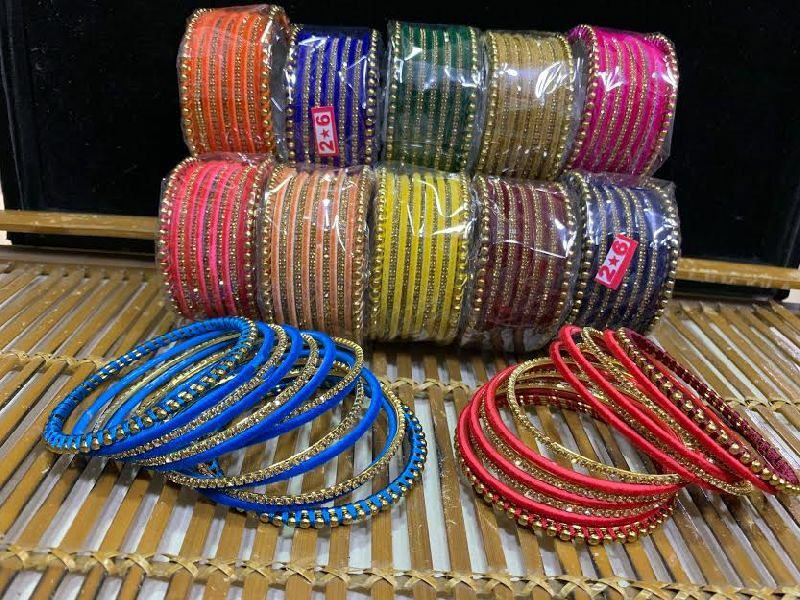 We also have Stone Bangles having stones of different colors. 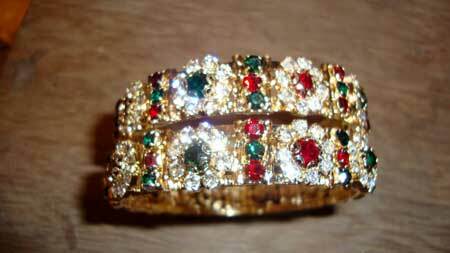 The classic diamond color stone can be worn with every attire and you can also match the colored Stone Bangles with specific color attires. 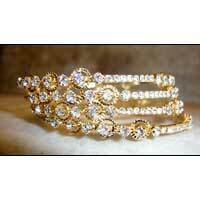 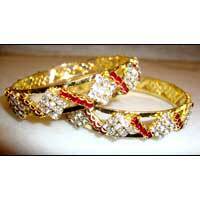 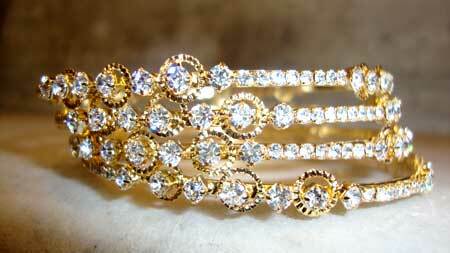 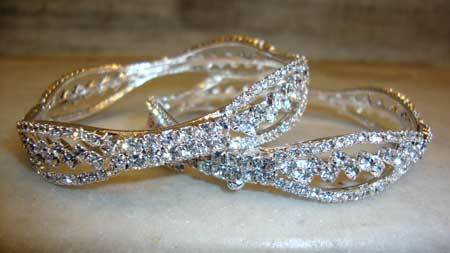 These bangles have a very distinct look and appeal and are a preferred choice of many women.